This wolf shows fear. The snarl on this wolf is aggression. Not just aggression, but fearful aggression which would make this wolf much more dangerous. He/she is sensing danger of some kind and is willing to fight if necessary. 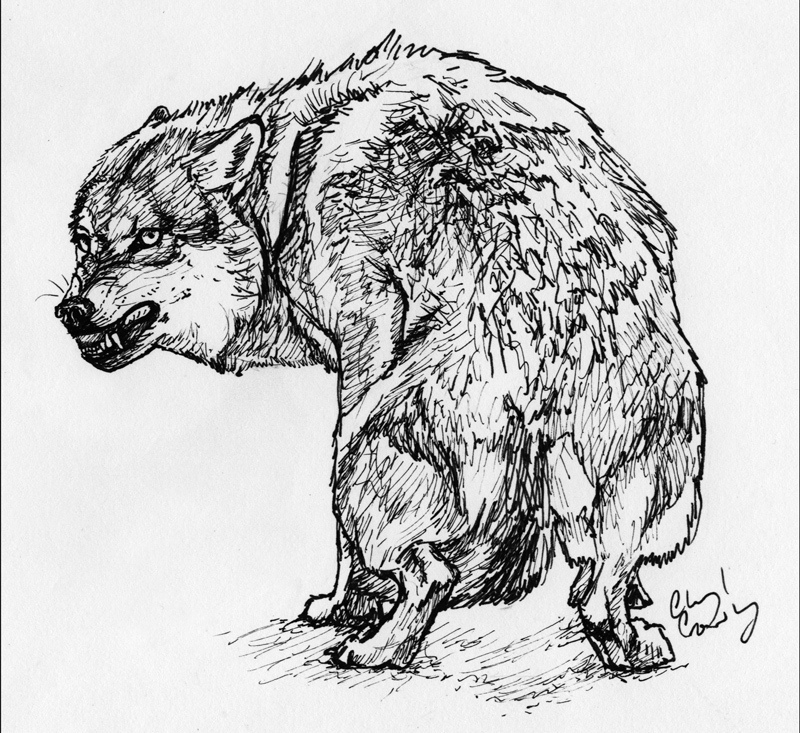 The tail tucked between his/her legs, the sloping crouching back, the ruffled fur and the ears pulled back all indicate the fear. Animals know that if they show fear, they will be targeted which makes them much more likely to attack. 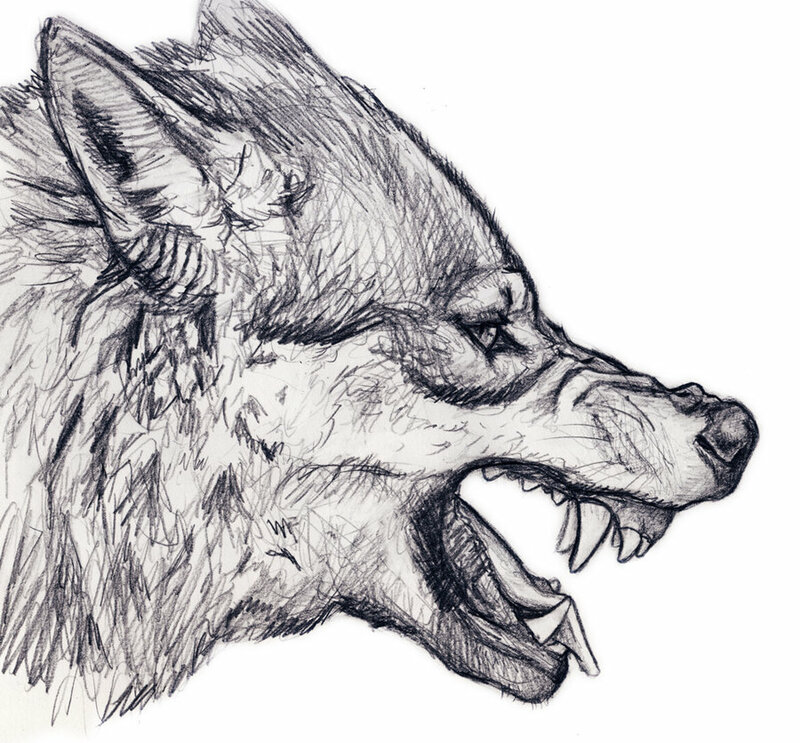 The wolf snarl is complex, and does not necessarily indicate an attack, but a warning and a form of communication. In a dominance display, it is a warning that they will bite if not respected, and in the case of fear, it is a warning that they will bite if pressed. The Wolf Beauty and Danger. Wow, that top picture is stunning! The details in the wolf’s mouth are so sharp! I also enjoyed reading about the differences in snarls. Wonderful work! Thank you! Yeah, I like learning about animal behavior! Wild dogs seem to be your forte! The aggression modes that you capture are very convincing. Unless you caught these in a photograph, it is not something that can be quickly sketched. I am really enjoying your sketches. This could lead to something big. You not only sketch them, but you seek to explain their behaviors. Your right, it is hard to capture the behaviors in a sketch without reference. I will eventually add some drawn from life sketches to show how those sketches are different.